International industrials and metals group, Liberty House, has closed a deal with Tata Steel UK to acquire its Speciality Steels business for a total consideration of £100m. The sale agreement covers several South Yorkshire-based assets including the electric arc steelworks and bar mill at Rotherham, the steel purifying facility in Stocksbridge and a mill in Brinsworth as well as service centres in Bolton and Wednesbury, UK, and in Suzhou and Xi'an, China. The deal secures the future of around 1,700 jobs directly, and thousands more in the supply chain and regional economy. The sale follows an extensive due diligence period, after the parties entered exclusive discussions in November 2016. It will make Liberty one of the largest steel and engineering employers in the UK with more than 4,000 workers at plants located across Britain's industrial heartlands. 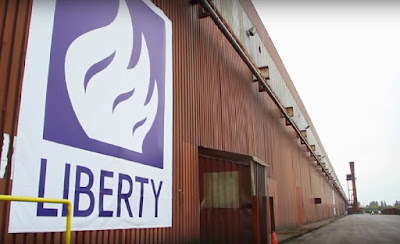 Liberty, whioch is pioneering its GREENSTEEL stratety, said that the Tata business has the capability to make around 1.1m tonnes of liquid steel per year from recycled scrap, melted in two electric arc furnaces at Aldwarke in Rotherham. This steel feeds downstream casting, re-melting and rolling processes, producing a range of high-value steels. Sanjeev Gupta, executive chairman of the Liberty House Group said: "I am proud that we are acquiring a world-class business with a very skilled workforce and broad range of high-value products. It is one of only a handful of such operations in the world and I am confident it will flourish within our group. Fulfilling the next key stage of our GREENSTEEL vision is incredibly exciting. We will now be able to melt scrap steel to create high-value-added products and I hope that, in due course, we will do so using renewable power. "In the very week that Liberty is celebrating its 25th anniversary, I am delighted to welcome many hundreds more members to the Liberty family. We are grateful for the support from all stakeholders in achieving this deal, including the employees, unions and advisers." Business Secretary Greg Clark added: "Acquiring Tata's Speciality Steels business in South Yorkshire and West Midlands, which manufactures high quality steel for some of the UK’s world leading industries such as aerospace and automotive is a great opportunity for Liberty House. I look forward to hearing more about their expansion plans which secures skilled jobs at the business into the future. "We want to work with the steel industry on proposals to transform and upgrade their sector as part of the modern Industrial Strategy so we can build on our strengths and extend excellence into the future." in March last year , Indian-owned Tata Steel concluded that it was exploring all options for portfolio restructuring including the potential sale of Tata Steel UK, in whole or in parts. Following a board meeting in July, the steelmaker decided on a separate process for the potential sale of its Speciality Steels business. Bimlendra Jha, CEO of Tata Steel UK, said: "This is good news for Speciality Steels and for Tata Steel’s core business in the UK. For Speciality Steels, which is largely independent of our European strip products supply chain, this is an important step forward in securing a future for the business under new ownership. Today's news also marks another important step forward in realising a more sustainable future for our Port Talbot-based supply chain in the UK."